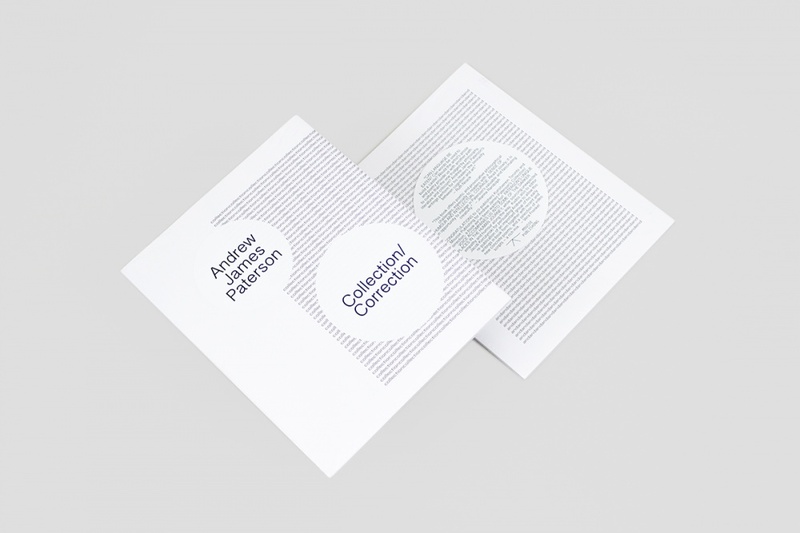 Andrew James Paterson: Book Launch! Live Music! Movies! We are swooning at the mention of Andy’s new book Not Joy Division, a hard-boiled mystery novella cast in a post-punk social media glow. It is being published by Eldon Garnet’s Impulse B press. To celebrate we’re throwing a party that will feature Andy’s group Derwatt, along with a short screening, including the best movie he ever made, the neglected masterpiece Basic Motel. Good evening and welcome to Pleasure Dome. Following the spirit and recommendations of the Truth and Reconcilation Commission, we would like to acknowledge that we are on the traditional lands of the Anishinaabeg, Haudenosaunee the Huron-Wendat, and most recently the Mississaugas of the New Credit. The Toronto, Ontario and Canada arts Council have done their part to make this evening possible. Here’s how it’s gonna to go down. 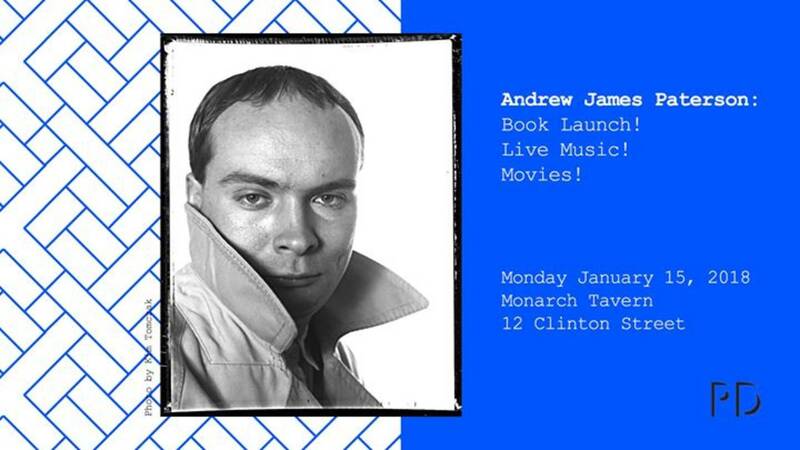 I’m going to say a few words about Andrew, he’s going to dish a short reading from his new book Not Joy Division, published by Impulse B Press. We’re going to watch 30 minutes of movies, followed by a brief q and a. We’ll take a break so that people can buy books and get them signed. When we come back there will be a second short reading, and then the musical group Derwatt will deliver us to undreamt worlds. Andrew James Paterson was born in Wellesley Hospital in Toronto, why it seems like only yesterday. He was raised in Willowdale, then the model suburb of Don Mills. 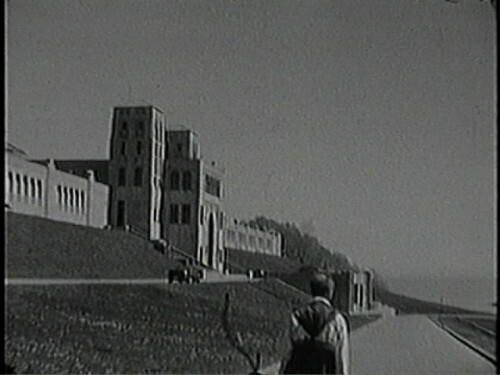 He went to school downtown – St. George’s College on Howland. 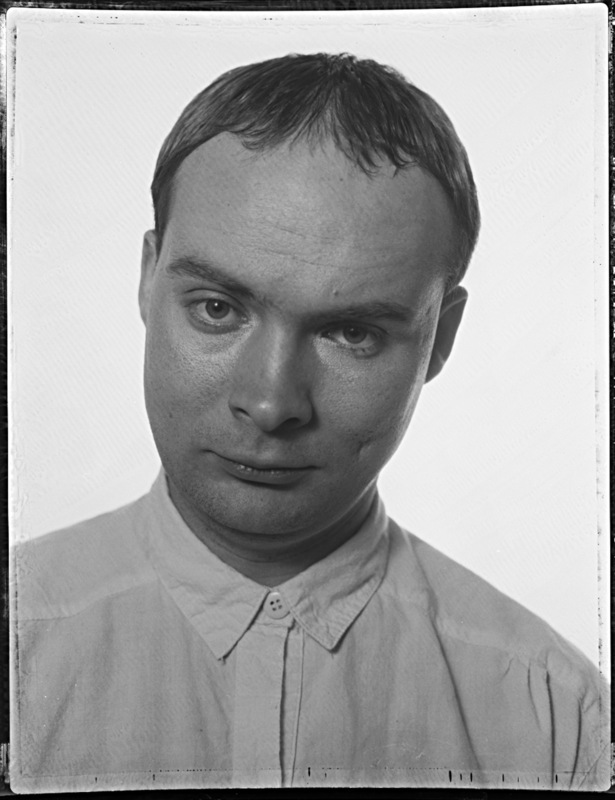 In 1976 he was part of a band with Michael Brook (who would later co-found A Space Video which later became Charles Street Video), accompanying an early production of VideoCabaret, a multi-media underground art theatre ensemble that was run by Michael Hollingsworth and the Hummer Sisters. When Hollingsworth needed a band for his play Punc Rok, Andrew put together a group called The Government, with himself on guitar and vocals, Robert Stewart on bass and vocals, and Patrice Desbiens, the first of the band’s three drummers. The year is 1977. Over the next five years the band would release a couple of LPS (Electric Eye and Guest List), a couple of EPS, and a single: Hemingway Hated Disco Music. Art bars like the Beverley and the Cabana Room meant that Andrew was soon showing up at parties with Susan Britton, Rodney Werden, General Idea, David Buchan and Colin Campbell. How does one survive the death of a scene, or even the death of so many friends? Andrew made his first video with the Government in 1981, the almost-rock video How Many Fingers?. When a young man is unable to answer a question on a quiz show he is medicated and treated by priests and doctors who fail to bring him around, ensuring that he will be subject to the same treatments over and over. Of course, it was refused by MuchMusic because they felt it wasn’t entertaining enough. Inspired by the mix of real life stories and social observations in Susan Sontag’s I, Etcetera, Andrew kept a diary from late 1979-1980, and collaged some of this into short texts that began appearing in File, Fuse Magazine and yes, Impulse, an art magazine run by our very own, Eldon Garnet. Some of these Impulse pieces were reprised in the book Andrew released just two years ago entitled Collection/Correction. During the 80s his interest in genre and narrative structures led him to make expansively dramatic videotapes, murder mysteries like Who Killed Professor Wordsworth?, the marital melodrama Trio, and the quasi-soap opera Hygiene, a collaboration with local star Jorge Lozano. 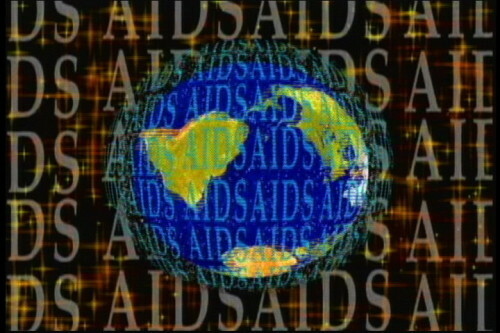 In 1994 he made Controlled Environments, a mise-en-abyme where he plays two art bureaucrats named A and B. When the tape was finished, he felt that he had come to the end of something, and thought he would leave the art world. Hoping to reinvent himself as a thinking man’s mystery writer, he dedicated the next couple of years to working on his unpublished novel Systems and Corridors featuring a main character who is a cross between Camille Paglia and Pierre Trudeau. By 2006 Andrew had discovered the joys of abstraction, using Photoshop drawings to create the she said-she said cameraless animation of Rectangular World. Judith Doyle told me once, tongue in cheek, that as an artist gets older, the work turns towards the abstract. For the past decade, Andrew has created more than a dozen camera-less adventures, short videos filled with flickering colour fields, or texts. In Narrative, the word “and” appears against a series of coloured rectangles, until it changes to the word “end.” Of his more than 30 videos, more than a third are abstract, or non-figurative. Along the way Andrew waited tables at the Cameron House where he continues to live in a single room. He has attended every opening and screening, written a zillion reviews, edited books and catalogues, made paintings and performances, and remembered everything that ever happened. How does it feel to be a living history? The artist summarizes it this way: “I am an interdisciplinary artist who enjoys discipline.” I’m sure that someone here can help him with that. Please join me in welcoming the queen of Queen Street, Andrew James Paterson. 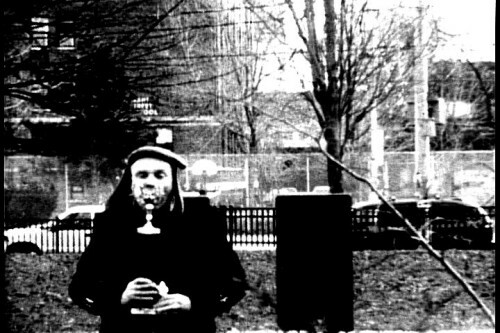 In this performance miniature, the artist appears in a Toronto park, thickly garbed for a winter that has already arrived. He runs on the spot, with occasional jerks forward indicating progress, making haste slowly towards a standing metal utilities box with a cheap statuette prize leering atop it. The artist opens his mouth wide, his tongue hanging, a parody of longing and hope. When his hands reach out to hold the trophy he licks it up and down, before retiring to a quiet seat where he jerks it off. Is stardom and success just another masturbatory fantasy? Shot on black-and-white super 8 by Milada Kovacova and Andrew Paterson. Made for the 8 fest in 2009, then reworked in video a year later. 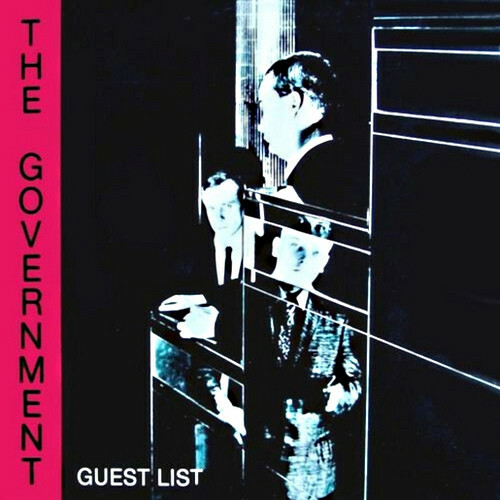 The Government was a three-piece band that gigged and recorded between 1977-82 featuring Andrew James Paterson on guitar and vocals, Robert Stewart on bass and vocals, and three different drummers: Patrice Desbiens, Billy Bryans and Edward Boyd, who appears in this clip. In a hilarious send up of the trad band interview, Paterson offers grammatical corrections, non sequitur explosions, sexual asides and border crossings of every kind. A reflexive send up of stardom and media projections, the talk show segment is a prelude to the Government’s rave up version of ‘Hemingway Hated Disco Music,’ one of the band’s signature tunes. Made during a residency at the Western Front, Basic Motel features the artist taking a star turn as Robert Monitor, a rock god recluse on the run from fans and fame. He renames himself as David Stinson before checking in to a get-away-from-it-all hotel. Mostly he lounges in bed in glam gear, chain smoking, receiving flashbacks and watching TV between visits from the attentive front desk lady who brings Scotch and unwanted conversation. Their scenes escalate until she recognizes him as the wayward pop star on the lam, a charge he too adamantly denies. As mega popstar Robert Monitor, he finds himself caught in a vortex of acting (who am I?) where even conversation has become performance. During his getaway he takes on another identity in order to find out who he really is. Let’s rewind: he takes on a false identity to protect himself from his false identity. The artist might have named this tape: vertigo. The basic motel scenes are interwoven with media moments that arrive as flashbacks from his once and former life: a photo shoot, a book launch, a TV appearance. Each offers the inflation of personality, the cultivation and projection of public personas. A double take on The Randy (TV) Show finds the interviewer host dishing the same questions in two separate takes. At first his enigmatic guest arrives visibly stoned, and then appears a second time carrying a guitar and literally playing with his answers. Both are scenes of refusal, all lines of connection broken, the replies making clear that there can be no answers here, that the question that underlies the questions: can we communicate? – can only be answered with a resounding: no. Back in the motel the TV is always playing the same rerun, offering court scenes and a tearful heroine. The media appears as a place of judgment whose result is never in doubt, a stammering compulsive addiction and funhouse mirror. In Basic Motel everything happens again and again, caught in a media loop where small moments (a head resting against a wall, a knock on a door) appear amplified, imbued with extra significance. The whole frame trembles with sexual tension, everyone is so young and perfect, wondering what version of their lives to offer up for cameras hungry to turn them into next year’s model. The Robert Monitor character was reprised in Andrew’s first novel The Disposables, published by Art Metropole in 1986.